PORT BLAIR, India, Jun 3 2012 (IPS) - Islanders on India’s Great Nicobar Island in the Bay of Bengal, barely 144 kilometres from Sumatra, fled when they felt the first tremors of the 8.6 magnitude earthquake on Apr. 11. They leaped across creeks inhabited by estuarine crocodiles, haunted by memories of the devastating 2004 Asian tsunami that took the lives of thousands of people. The residents took refuge in shelters that lacked ‘earthquake safe’ certification. They were literally caught between the devil and the deep sea, since a tsunami originating off Sumatra can arrive on the Great Nicobar Island within 15 to 20 minutes. Though the tsunami didn’t come, the earthquake in April exposed many Indian Ocean littoral states’ lack of preparedness against increasingly frequent natural calamities. “As per standard operational procedure, the Indian Tsunami Early Warning Centre (ITEWC) identified the regions under risk and issued warnings to only two Nicobar islands, where the public was advised to move to higher grounds,” T. Srinivas Kumar, oceanographer at the Indian National Centre for Ocean Information Services (INCOIS), informed IPS. INCOIS is the official agency designated to map the tsunami hazard for all countries on the Indian Ocean Rim – Australia, Bangladesh, Comoros, Reunion Islands, Indonesia, India, Iran, Kenya, Madagascar, Malaysia, Maldives, Mauritius, Mozambique, Myanmar, Oman, Pakistan, Seychelles, Singapore, South Africa, Sri Lanka, Thailand, Timor Leste, Tanzania and Yemen. INCOIS is responsible for the safety of 74.85 million coastal residents around the Indian Ocean. Sumatra’s coast has triggered the bulk of the world’s seismic tsunamis in the last millennium. “The Administration’s actions conformed to National Disaster Management Authority (NDMA)’s and INCOIS’s guidelines; accordingly, islanders from Kamorta and Katchal were evacuated to safety swiftly,” Sinha confirmed. But Zubair Ahmed, a journalist in Port Blair, told IPS that the absence “of mass transport vehicles for evacuation (shows) the challenge is now translating strategy into to action”. For instance, India’s state-run TV Doordarshan and All India Radio (AIR) did not receive the official tsunami warning. Thanks to personal initiatives, Doordarshan was “ready with a text scroll and broadcast the first tsunami alert within 15 minutes of the warning”, station director Sajan Gopalan told IPS. All India Radio in Port Blair aired no announcements about the tsunami warning. “ITEWC disseminates tsunami bulletins to all stakeholders, as mandated in the NDMA guidelines,” INCOIS’s Kumar clarified. That Doordarshan and AIR are not subscribing to early warning alerts highlights a glaring deficiency in disaster preparedness. AIR officials were unavailable for comment. “The DDM will now upgrade technologies like mass (text messages), electronic display boards and loudspeakers for mass communication of early warning alerts,” Sharma added. The fact that these basic steps are being taken eight years after the Asian Tsunami shows negligence on the part of officials. Following the tsunami in 2004, India’s Central Food Technology Research Institute “suggested” setting up 22 nationwide hubs for air-dropping culturally sensitive, nutritious, pre-cooked food packets during disasters, but this plan never materialised. However, “two months of supplies are available on all the islands,” Sharma assured IPS. 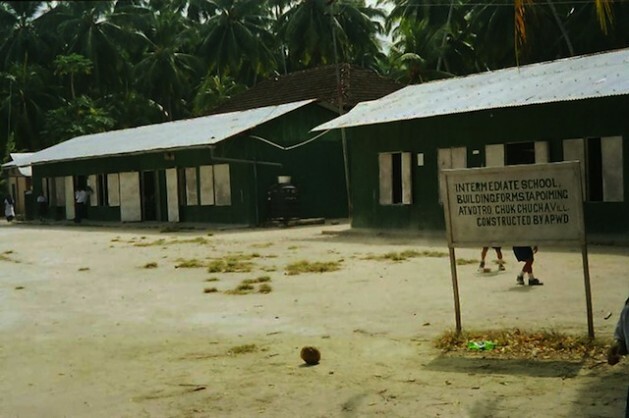 Still, the Island Administration has no temporary shelters on the disaster-prone islands because the “costs of constructing a second housing establishment for a rare natural calamity are prohibitive; instead government schools serve effectively because they have water supply, sanitation, storage space, and large halls,” Sinha explained. India is not the only country unprepared for disasters. Sri Lanka’s chaotic traffic congestion during the Apr. 11 emergency prompted President Mahinda Rajapakse to instruct the “staff of the Disaster Management Centre to revise plans for traffic management during evacuation,” J.M.S. Jayaweera, director of the preparedness division of DMC Sri Lanka, told IPS. In the Maldives, officials struggled to evacuate unevenly distributed populations in far-flung islands. Meanwhile, an audit of disaster preparedness plans in the ANI betrays even more shortcomings. The assets, liabilities and consumption patterns of Islanders have not been inventoried, thereby preventing speedy compensation. Surplus telecommunications spectrum for emergencies remains a pipe dream – the INCOIS website was jammed on Apr. 11. Only some earthquake shelters are certified. Without inter-agency coordination, the practice of mock drills every 12 weeks is futile. Without mass transportation systems, traffic management plans are meaningless. Ambulances do not have state of the art equipment and the Islands themselves do not have an air ambulance. Helicopter services are almost exclusively reserved for bureaucrats, while ailing patients are forced to await the departure of weather-dependent ships, which defeats the purpose of emergency medical care. Since natural calamities are so unpredictable, disaster mitigation calls for foolproof preparedness against every possible eventuality. Years of scientific research, including the study of Cetacean stranding on beaches, volcanic activity and historic earthquake patterns, have not brought us any closer to earthquake prediction. Indonesia sits on the Sunda Trench that is at the vertex of two tectonic plates. The continual thrust of the Sunda Plate against the Indian Plate “causes subduction of the latter under the Sunda Trench. That is the reason why the northwest coast of Sumatra is so prone to large earthquakes”, a study by the Tectonic Observatory of the Caltech University concluded after the Asian Tsunami. The United States Geological Survey’s “history of earthquakes” database reveals a recurrence of major earthquakes on the 11th and 26th of almost every month. Earthquakes have occurred on Feb. 11, Mar. 11, Apr. 11 and Aug. 11 in the Malacca Straits, and Dec. 11 in Taiwan. The Andaman earthquake struck on Jun. 26, 1941, the Great Alaska earthquake on Mar. 27th, 1964, the Assisi earthquake on Sept. 26, 1997, the Gujarat Earthquake on Jan. 26, 2001, the Bam earthquake on Dec. 26, 2003 and the Asian Tsunami on Dec. 26, 2004. Large tsunamis have recurred in the same fault zone once in every 50-60-year cycle. Considering that “the 2004 earthquake was only a partial rupture of the seismic stress” according to Caltech’s Tectonic Observatory, governments around the Indian Ocean need to be prepared for even worse disasters than those we have already seen. *This is the first of a two-part series on hydrometeorological disasters in the Indian Ocean Rim.